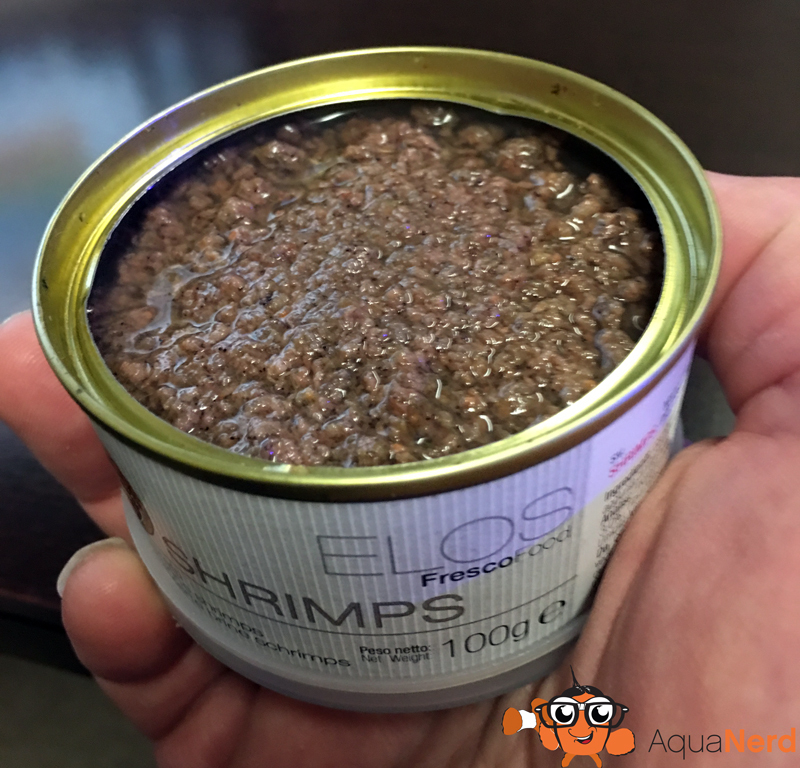 The three products in the FrescoFoods range include Shrimps, Chironomous & Cyclops. Each product is packed in small cans that need to be refrigerated only after they are cracked open. My first impression was, man, this can looks like a cat food can, but after I opened a can, I was instantly impressed. The product is also easy to use. Per the instructions on the can, simply spoon out the desired amount and add it to the tank. I like to add it to the tank in front of a return line or a wave maker pump. Here is a video clip from two of our farm tanks. This was the first time our fish ever had tasted the Fresco Shrimps and as you can see from the video, they all took an instant liking to it. The product is not available in the US at this time but we were able acquire a can of it from our next door neighbor, Francois from Elos USA. Francois expects the FrescoFoods pricing to be somewhere between $9.99 and $12.99 once it becomes available. Bravo for another great product from Elos!